Why wait for print? Read the whole book right now! In all effective cricket teams there needs to be a number of leaders. Depending on the level of the team this could include coaches, captains, vice-captains and ‘informal’ leaders both on the pitch and in the dressing room. The bowlers also need to have well-developed leadership skills to be able to set their fields and to liaise with the captain. All teams need to have a sense of direction, strategy, and tactics that are determined and driven by the leaders in the team. The captain plays an important leadership role that is involved in selection, making decisions on the order of play (so winning the toss and whether to bat first, the batting order), determining the strategy of the team (the tactics that are employed) and making calls regarding when to change field placings. He or she also makes bowling changes and generally seeks to influence and control the game. In order to achieve all of these role requirements, the captain needs to be an effective leader, able to man-manage all the different characters and personalities that make up their team. The captain also needs to be able to inspire the team to follow them and in many cases look to lead from the front. There is an old maxim that says “If you preach excellence but walk mediocrity, you are nothing but a liar”. Also, to be a good leader you also need to understand what it is like to be a follower There is nothing worse than having to cope with energy sapping players as a captain. So an important aspect of leadership is man management. Finally, as a leader you need to be able to resolve conflict when it arises in your team. Disharmony in your team is a sure fire way to poor performance. This chapter will explore the different approaches to understanding leadership, and the role of the captain in more detail. Due to the very nature of leadership, and its application across many different areas and domains, there are many differing definitions. For example, leadership can be described as “The process of influencing individuals and groups toward set goals”. Alternatively, it can also be described as “Knowing what should be done, and influencing others to cooperate in doing it”. This second definition in particular suggests an importance in the understanding and experience of the leader as well as demonstrating important leadership behaviours. This process of defining leadership is further complicated by the fact that a good manager can be a good leader, but a good leader does not necessarily become a good manager. Looking at the differences between good leadership and good management there is a slightly different focus for each. The partnership between Andy Flower and Andrew Strauss for the England test team could be considered a perfect combination of a good leader and a good manager. Management is to see, as a bottom line focus, how certain things can be best accomplished; in essence doing the right things. Leadership looks at the top line, what are the things we want to accomplish; essentially seeing what the future might look like. In order to become a good leader, you need the ability to be able to plan, organise, and control. Leadership is a concept that allows for both horizontal and vertical applications. Within cricket teams there are two clear types of leadership role: formal and informal. Informal roles are those that emerge within the team as a result of interactions between teammates and the demands of the game. The team is influenced by the actions of players who are the most dominant, assertive or competent. These informal leaders can help to set the tone for the team. Formal leadership roles are those that are prescribed or awarded. Examples of which include coaches, captains, and sometimes vice-captains. In general terms formal leaders have two main responsibilities. First, to ensure that the demands of the team/club are satisfied and that the team is effective in terms of the goals and objectives set. The second responsibility of every leader is to ensure that the needs and aspirations of the team are fulfilled. Indeed Ex-England captain Mike Brearley highlighted that the captain can be responsible for how long people practice in the nets, who needs what practice, alternative options for rainy days, travel arrangements for away fixtures, and many others things as well. Indeed, the captain often ends up putting the rest of the team’s needs ahead of their own. If not managed effectively, this can take its toll on the captain’s own performance. A number of theories have been developed that have tried to explain leadership and how leaders develop. The first theories focused on something called the ‘great man’ approach. This approach has got the longest history and focuses on the character of great leaders. The view here is that if you identify what it is that great leaders ‘have’ you can start to develop a template for the ‘type’ of person who needs to be the leader (the captain). This approach suggests that leaders are born and do not develop. However, whilst appealing on the face of it, evidence suggests that there is not a specific character type that is best suited to leadership. If you looked at successful cricket captains you would probably find that they are very different people, but all good captains in their own right. As a result a second theory of leadership was developed. This second approach looks to see what ‘type’ of leader a particular situation required, suggesting that certain situations called for specific types of leaders. So, match the leader to the situation and they will be most effective. However, this approach has also been challenged. A more appropriate third approach is to consider the personal qualities required for leadership. What do different captains do that make them successful? Also, what are the personal qualities that the situation requires? This is important as the same team can require different types of leadership at different stages in its development. A team in transition will require very strong leadership and direction. But as the team becomes more established, and the team members are more settled, this type of approach can be damaging to the team. In this instance a more democratic and inclusive approach is required. There is also the consideration of what works best for the leader, and what works best for the team? In an ideal situation the leader’s approach and the approach the team would prefer are the same. But in some situations that is not the case. So the question emerges, which is more important? That the team is led in the way they would like (even if the captain is not very effective in that approach), or the team is led in the captain’s preferred way (even though the team may be less happy)? There is no definite answer to this question, but it does need to be considered by the leader. 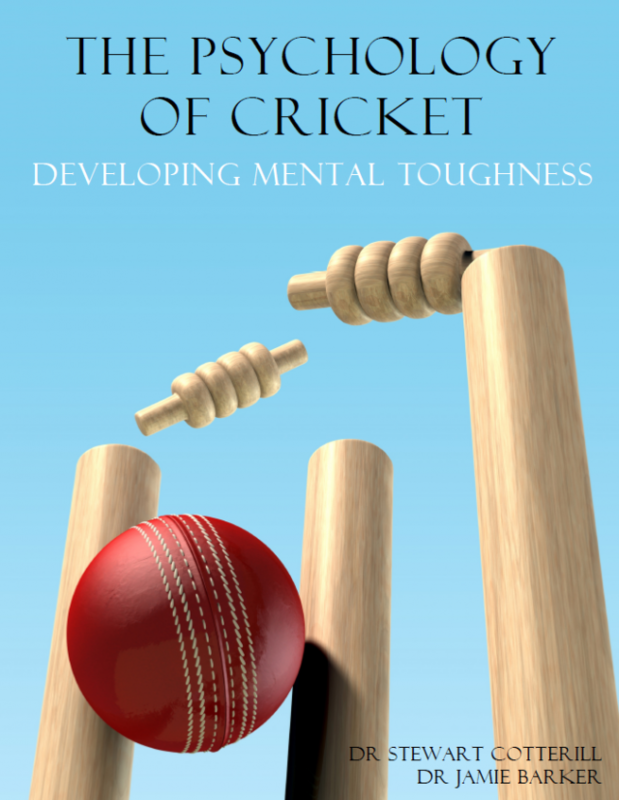 There are four main effects which general leadership may have on your cricket. First there is the degree to which you, as an individual, show personal leadership both on and off the pitch. Second, there is the degree to which you are well led by your captain in the team. Third, if you are a bowler there is the degree to which you take the lead in arranging your field settings and making tactical decisions. Finally, there is the leadership and direction offered by the coach.